Faster than a speeding bullet, able to leap over trees in a single bound. Look! 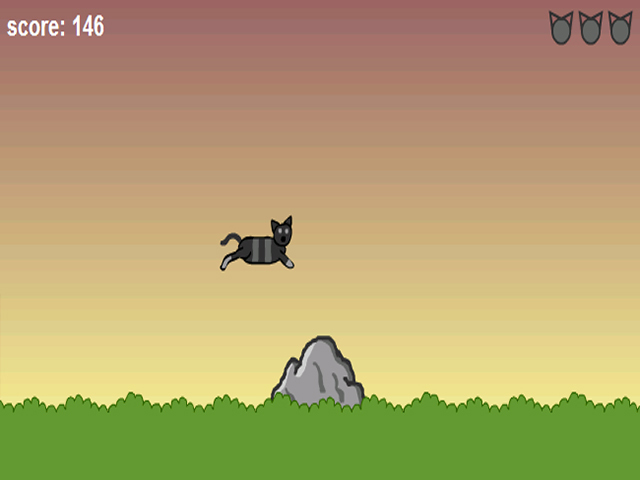 It's Jumpcat, hero of this action-packed game.It's a bird, it's a plane, it's Jumpcat!Faster than a speeding bullet, able to leap over trees in a single bound. Look, up in the sky! It's Jumpcat! 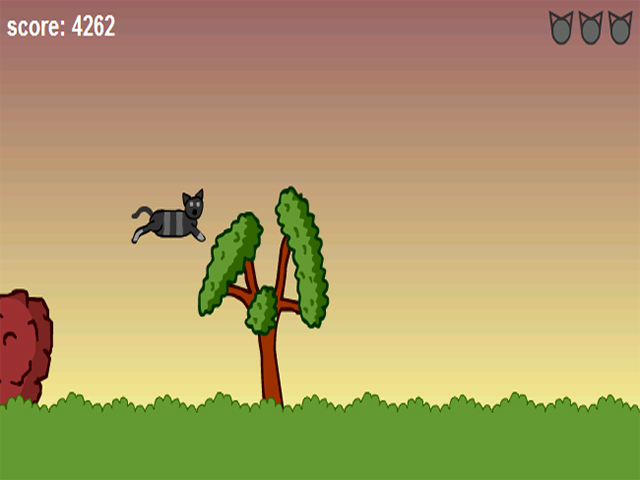 Help this fearless feline avoid obstacles and missiles as he tears across the landscape. 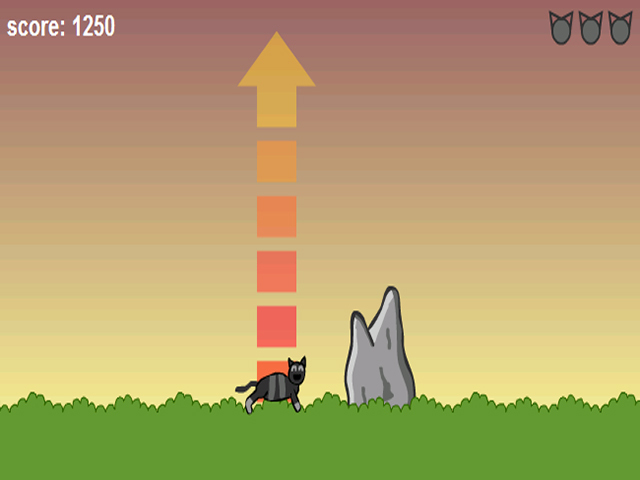 Use left and right arrow keys to move Jumpcat forward or backward. Hold the up arrow to power up a jump. Release the up arrow to jump. Three control settings let you play left- or right-handed. 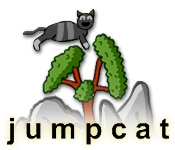 Jumpcat needs your help. Play online now and help him leap into action.